Some of the following true/false items may surprise you. Test your knowledge. After looking through the questions, click on the 'answers' link to find out your score. The average workplace accommodation costs an employer thousands of dollars. Employers are required to provide assistive technology to any of their employees who can benefit. There are legal ways for some employers to avoid paying for assistive technology. Employers have difficulty with assistive technology because it is a new concept. If an employer and an employee with a disability think an accommodation could be helpful, they can try it out for free before purchasing. 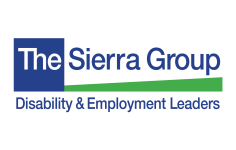 The Sierra Group Academy prepares job-seekers to utilize accommodations in the workplace for maximum comfort, safety, and productivity. To check your Accommodation Quiz answers. ©The Sierra Group Foundation 2017. All Rights Reserved.